Along with many others, I have cautioned anyone who would listen that the window for the two-state solution is closing. Woe be the day, I warned, when the Peace Index, a highly-regarded public-opinion poll which has tracked Israelis and Palestinians regularly since 1994, finally showed that support for partition on both sides fell below 50 percent. It appears that day has now finally arrived. While some secular nationalists within the PLO convinced themselves (and Israel and the international community) that compromise was possible – at the height of Oslo some 80% of Palestinians were conditionally in agreement – this support has wavered since Camp David II in 2000. . Given 20 more years of occupation, war, and diplomatic stalemate, it’s hardly surprising that the two-state solution does not reflect Palestinian societal preferences anymore. Essentially, I would state that both the Palestinians and Israelis have increased their distrust of each other because of actions and leaders on both sides. Oddly, the above article did not mention US President Donald Trump. After Donald Trump made his statement on December 6, 2017 to officially recognize Jerusalem as Israel’s capital, as well as to declare that the USA would not insist on a ‘two-state solution,’ it became clear to Palestinians and their leaders that the situation had changed. They were disappointed with the USA and felt betrayed. “We do not take instructions from anyone, and say ‘no’ to anyone if it is about our destiny, our cause, our country and our people… 1,000 times no,’” he said, opening a meeting of the Palestine Liberation Organization’s Central Council in Ramallah. TEL AVIV (Reuters) – German Foreign Minister Sigmar Gabriel warned Israel on Wednesday that it faced growing frustration in Europe amid concern for the future of a two-state solution to the Israeli-Palestinian conflict. Gabriel adopted a markedly different tone to that of U.S. Vice President Mike Pence, who on a visit to Israel last week embraced President Donald Trump’s Dec. 6 announcement that his administration recognizes Jerusalem as the capital of Israel, and that it will move the U.S. Embassy to the city. “With regard to the Palestinians and the Iran question the Americans are taking your side more clearly than ever before. But is this really only a good thing?” Gabriel said in Tel Aviv. Gabriel spoke after meetings with Israeli Prime Minister Benjamin Netanyahu and Palestinian President Mahmoud Abbas. So, Sigmar Gabriel wants some power other than the USA to be involved in a peace deal and Germany to have a major presence one day in Jerusalem. This will happen! Yet, the Israeli Prime Minister really does not want to push for a two-state ‘peace deal’ the way the Palestinians want to see it. So, will we ever see peace in Jerusalem before Jesus returns? Yes, a worldly peace will come. However, peace deals normally only come about after war. Neither Israel nor the Palestinians wish to give up claims to certain territories at this time for a peace deal. There have been rockets, retaliations, and other fighting between Israel and the Palestinians. Although there have been temporary cease-fires, it has been stated that, “Neither side appeared ready to accept the other’s conditions for a permanent cease-fire” (http://www.voanews.com/content/israel-hamas-resume-fighting-as-cairo-talks-break-down/2419518.html). The presence of Donald Trump has upset the Palestinians. And while he seems to believe that since other US Presidents have failed to solve the situation, that he should try a different approach, the Palestinians (and many others) have not approved of statements he has made and steps he is known to have taken. 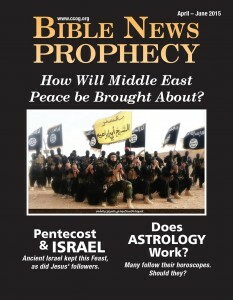 Yet, a multi-year temporary peace deal will come about per Daniel 9:27. Israel, likely because of threats and international pressures (some of which are growing now) will decide it has to accept a deal that it does not want to now accept. Is poured out on the desolate (Daniel 9:27). While Daniel 9:26 calls this “he”a “prince,” he is later is referred to as the king of a developing European empire (Daniel 11:40; see also King of the North and Europa, the Beast, and the Book of Revelation). 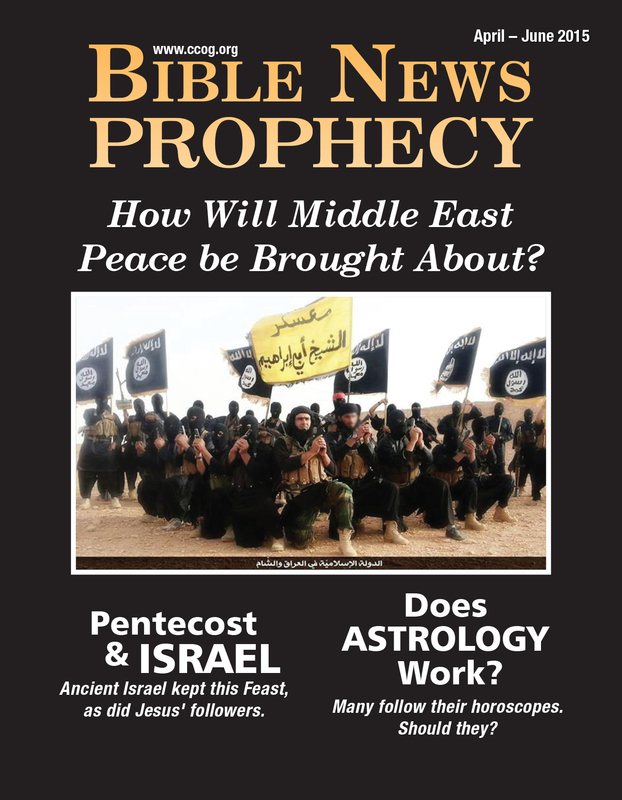 The ‘one week’ time element has generally been understood by prophecy watchers to mean a seven year deal (2520 days, based on prophetic 360 day years). The Hebrew word translated as “week” literally means “sevened” (OT:7620 literal, sevened. Biblesoft’s New Exhaustive Strong’s Numbers and Concordance with Expanded Greek-Hebrew Dictionary. Copyright © 1994, 2003, 2006 Biblesoft, Inc. and International Bible Translators, Inc.). The deal will be broken in the middle of it–that is after 3 1/2 years. So, this temporal peace will not last as long as many thought it would when originally made and later confirmed. The ‘with many’ referred to in Daniel 9:27 would seem to indicate that ‘many’ nations, as opposed to one or two, are agreeing to something. So, this is a peace deal with international involvement. The “him” above is the King of the North (cf. Daniel 11:40). He is taking away the sacrifices here, the same ones that he is taking away in the “middle of the week” in Daniel 9:27. A peace deal will come in the Middle East–and Europe will be involved! Actions and statements by those involved, including US President Trump, will one day lead to a deal (irrespective whether or not Donald Trump is actually involved in the deal or if he is even alive at the time). But that will NOT bring lasting peace to Jerusalem. That will not happen until the return of Jesus and the establishment of the Kingdom of God. This entry was posted on Wednesday, January 31st, 2018 at 4:00 pm	and is filed under Prophecy. Huge Mosque Planned for Temple Mount?